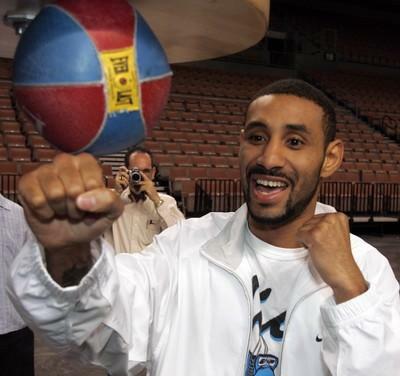 Diego Corrales, a former super featherweight and lightweight boxing champion, was killed Monday night in a traffic accident on Fort Apache Road near Russell Road. Corrales, 29, a Las Vegas resident, was riding a motorcycle at the time of the accident. Gary Shaw, Corrales’ promoter, confirmed that Corrales was the victim. Shaw, who lives in New Jersey, said he spoke with Corrales’ manager, James Prince, who arrived at the scene and identified Corrales. “It’s a sad, cold way to die, and I know deep down he’s trying to get up off the ground right now,” Shaw said. “He was a true warrior in the ring. Las Vegas police Sgt. Tracy McDonald said he could not confirm the victim in the fatal accident was Corrales. He said a motorcyclist was northbound on Fort Apache at about 7:15 p.m. when he drove into the rear of a 1997 Honda Accord. The victim was thrown from the motorcycle and flew into an oncoming 2004 two-door Mercedes-Benz sedan, McDonald said. Corrales was pronounced dead at the scene of the accident. McDonald said the motorcyclist was wearing a full-face helmet. He said the motorcyclist’s failure to decrease his speed when he approached the Honda contributed to the accident, but the incident remains under investigation. Corrales had a professional record of 40-5, with 33 wins by knockout, and was best known for a pair of 2005 fights against Jose Luis Castillo. His death came two years to the day of his most memorable fight. On May 7, 2005, Corrales defeated Castillo for the WBC lightweight title with a 10th-round TKO. The fight was regarded as the best of 2005. “His first fight with Castillo is one that will be remembered for a long time,” Shaw said. Their rematch five months later was won by Castillo with a fourth-round knockout. Corrales fought Floyd Mayweather Jr. for the WBC super featherweight title on Jan. 20, 2001. Mayweather knocked Corrales down five times and Corrales’ corner stopped the fight. It was the first loss of his career. 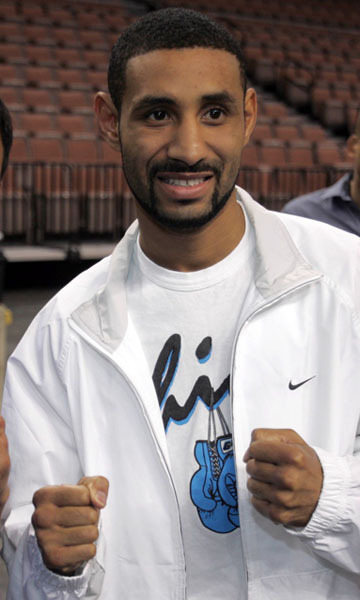 After losing to Mayweather, Corrales ran into personal problems. Accused of violence against his pregnant ex-wife, Corrales accepted a plea bargain and spent 14 months in prison. Corrales returned to the ring in 2003 with Shaw as his promoter. On March 6, 2004, Corrales fought Joel Casamayor for the vacant WBO super featherweight title, which Corrales won by split decision. Five months later, Corrales won the WBO lightweight title from Acelino Freitas with a TKO in the 10th round. “He had some troubles and some problems of late, and I know he was working hard to overcome that,” Shaw said. Corrales considered leaving Shaw’s company for Oscar De La Hoya’s Golden Boy Promotions. “We had a close relationship, and then it got a little rocky when De La Hoya tried to steal him from me,” said Shaw, who worked with Corrales last month. In his last bout on April 7, Corrales fought in the welterweight division and lost a unanimous decision to Joshua Clottey in Springfield, Mo. Corrales won the first world title of his career when he took the IBF super featherweight belt with a seventh-round TKO of Roberto Garcia on Oct. 23, 1999, at the MGM Grand Garden. Shaw said he hopes the Boxing Hall of Fame will make a “special exception” and induct Corrales as soon as possible.